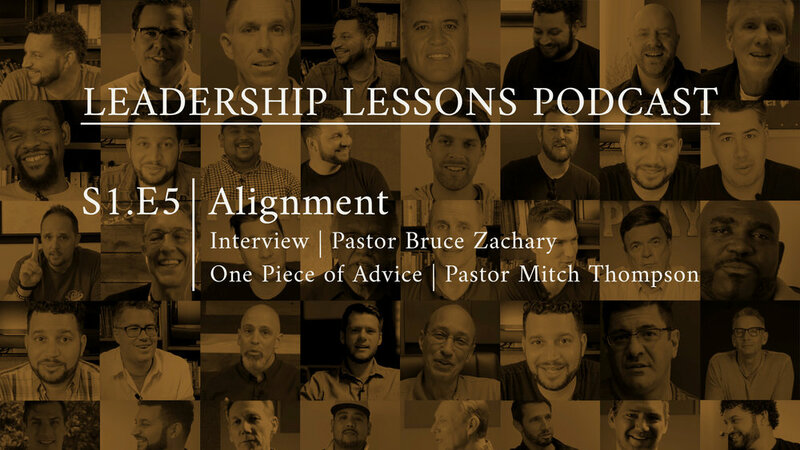 In this episode, Daniel talks about alignment—implementing mission and vision in your church, with Pastor Bruce Zachary, Senior Pastor of Calvary Nexus in Camarillo, California (calvarynexus.org). Bruce is also founder of VELO Church Leaders (velochurchleaders.org) and serves as Co-Director of Calvary Church Planting Network, a global church planting initiative. Why does your church need a mission or vision statement? It is important to understand the difference between a mission statement and vision. A mission statement is the core values of a church that don’t change over the course of time; they are longstanding, maybe 20 years. Vision may change. But a mission statement is “a compass, a true north.” Bruce discusses five characteristics of what a mission statement should be and why each is important. What it shouldn’t be is someone else’s mission statement, no matter how much you like it. “The problem is that you can’t take on somebody’s DNA. In other words, if you’re looking at another church and thinking we’ll just do what they’re doing…if it’s not your DNA, it’s not going to be effective.” What are some practical ways to communication your mission? Repeat it. Get it out there in as many different forms as possible—and be consistent. “The best way to stay on target is not to get distracted by things that are not your vision or your mission.” Evaluate everything in terms of its impact on your mission. Then implement it. Most leaders don’t have all the skills necessary to accomplish every step in implementing the vision. This is why it is important to have a leadership team and work together strategically. Strategic implementation is the subject of this week’s One Piece of Advice with Pastor Mitch Thompson.